Anyone who makes a habit of visiting the Artlog of Clive Hicks-Jenkins (and who on earth does not) will know that the wizard of Ty Isaf has of late been giving lots of little green men a run for their money. Walking across the garden this morning I noticed that the (greatly welcome) sun was hitting our own Green Man particularly happily so I went for the camera! 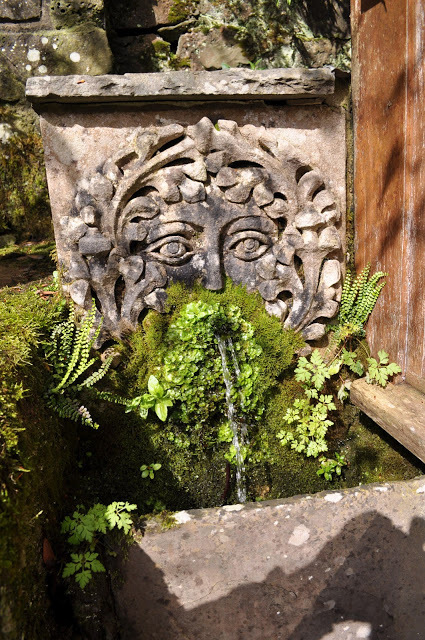 This lovely fountainhead was carved for us many years ago by Harry Brockway, around the time when he was working with us – making exquisite wood engravings for various books. We are blessed with the fact that our water supply is a spring on the hill behind us and what is not captured for drinking and every other home use forms a stream that goes through garden and field and on into the river Wye. 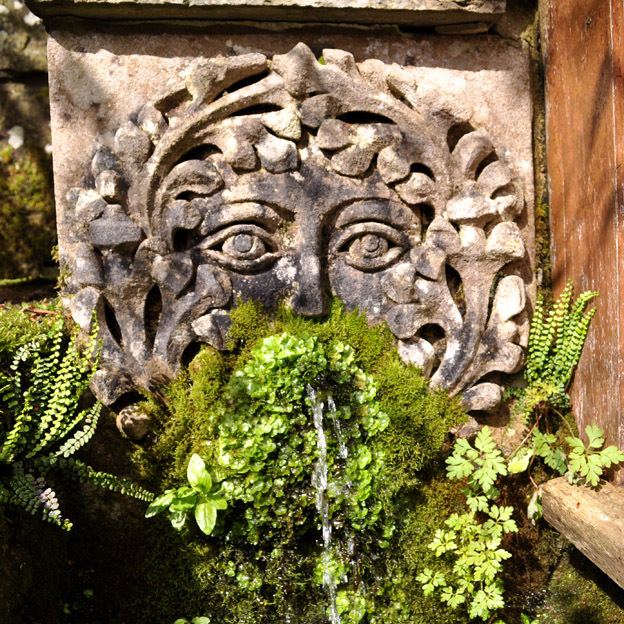 While never having the time to ‘do’ things with it (as in the Villa d’Este) nor yet tried to subdue it into electricity, we do have a few pipes carrying it in all directions and the most successful use is the pond into which this Green Man spurts. When Harry and we were discussing this small commission. my idea was a fountainhead who combined the character of a Green Man with that of the little pucker-lipped cherubs who are to be seen puffing winds in the corners of old maps. This latter aspect has been, for the moment anyway, somewhat obscured by his rather magnificent beard! 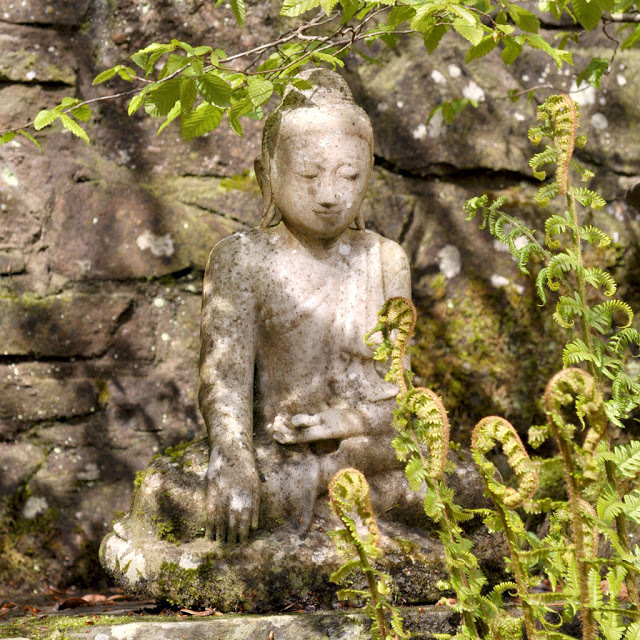 While I had my camera there I was happy also to record the peace of the lovely stone buddha that was left to me by my uncle and aunt who spent lives in the East.